Mohanlal Vishwanathan Nair (born 21 May 1960), known mononymously as Mohanlal, is an Indian film actor and producer best known for his work in Malayalam films. Mohanlal made his acting debut in Thiranottam (1978) but the film was never released due to censorship issues. He followed that by a role as the antagonist in his first release Manjil Virinja Pookkal (1980) at the age of 20. Mohanlal became a film producer with the 1990 musical hit His Highness Abdullah and has also acted in a number of Tamil , Kannada and Bollywood films. Of these, his notable roles were in Iruvar, directed by Mani Ratnam, andCompany, directed by Ram Gopal Varma. As well as being an actor and producer, Mohanlal also owns businesses involved in film distribution, restaurants and packaged spices. He was elected as most popular Keralite in a 2006 online poll conducted by CNN-IBN on the occasion of the 50th anniversary of Kerala's formation.In 2001, the Government of India honoured him with the Padma Shri, India's fourth highest civilian honour, for his contributions to Indian cinema. He has won four Indian National Film Awards — two Best Actor Awards, one Special Jury Award for acting, and one Award for Best Film as producer along with six Kerala State Film Awards for Best Actor. In 2009, he became the first actor to be given the honorary rank of Lieutenant Colonel in theTerritorial Army of India and in 2010 received an honorary doctorate from Sree Sankaracharya University of Sanskrit, Kerala. He was elected as 3rd most popular indian Actor in a 2013 online poll conducted by CNN-IBN on the occasion of the 100th anniversary of Indian Cinema. 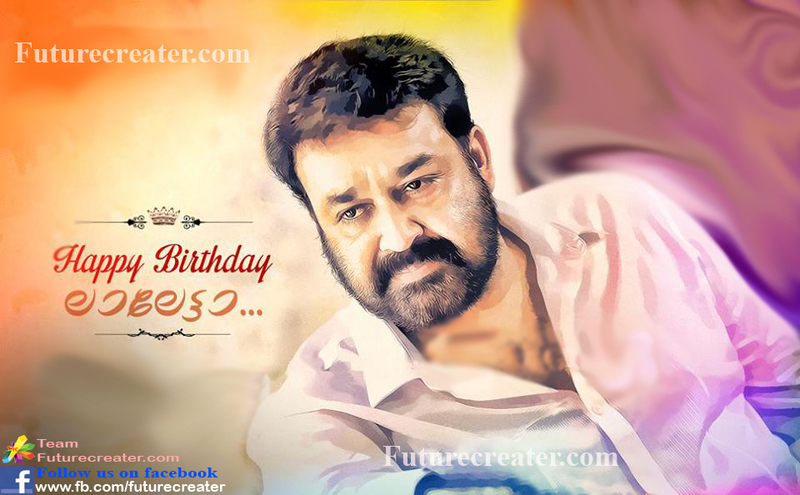 Mohanlal has acted in over 300 Malayalam films and produced or co-produced over 35 films. His acting credits include some Tamil, Hindi, Telugu,Kannada films. He has acted in 4 professional plays. He has sung over 25 songs, most of them for the films he acted in. Mohanlal lives with his family in Thevara, Kochi. He married Suchitra, daughter of Tamil film producer K. Balaji on 28 April 1988. Mohanlal later recalled in an interview that Suchitra used to send him cards because she wanted to marry him. Their horoscopes did not match at first, but later it was found that the astrologer erred. Mohanlal has two children – Pranav and Vismaya. Pranav has acted in a few movies, debuting in Mohanlal's film Onnaman. Mohanlal did not object when his son expressed a desire to act as "Kids may have many such ambitions. If we can help them realise something, what is the problem?" He owns a house at Ooty, a villa in Arabian Ranches and a flat in Burj Khalifa at Dubai. Mohanlal is a self-described foodie. He also enjoys melodious music. Mohanlal is a strong believer in destiny and spirituality. He likes to read Osho, J. Krishnamurti, Aurobindo and Ramana Maharshi. He has often stated that the turn of events in his life, including his film career, was accidental. In 2008, while shooting for the movie Kurukshetra in which he plays the role of an Army officer, Mohanlal expressed interest to join Territorial Army of India as an officer. On 9 July 2008, he was formally inducted to the Territorial Army in the rank of Lieutenant Colonel by Army Chief Deepak Kapoor. Rules had to be amended to accommodate him as men above the age of 42 are not eligible to join the volunteer force. Mohanlal was awarded an honorary doctorate by Sree Sankaracharya University of Sanskrit, Kalady in 2010. The citation praised Mohanlal as "an excellent performer after actor Sathyan inMalayalam film world, who essayed a rich variety of roles with equal ease and poise."